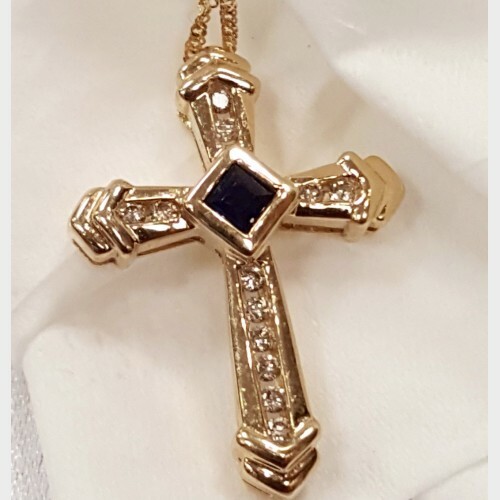 This beautiful cross measures 1" L x 1/2" W, is 14 kt yellow gold with .15 pts diamonds throughout and a sapphire gem in the middle of it. 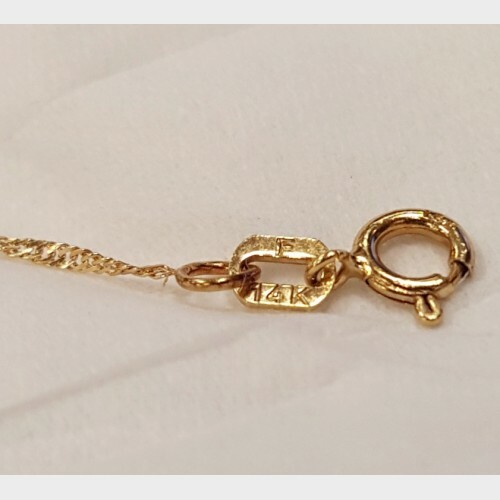 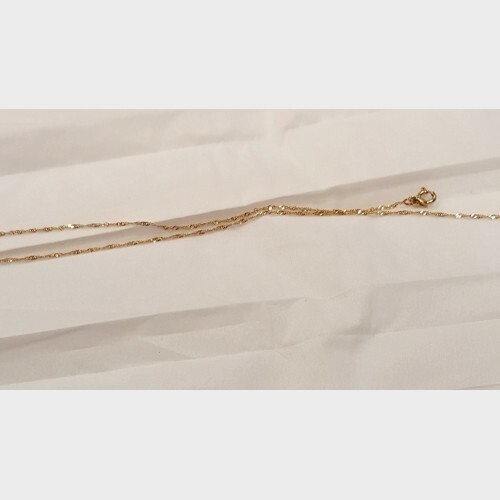 The necklace is 14 kt yellow gold diamond cut and measures approximately 18" long. 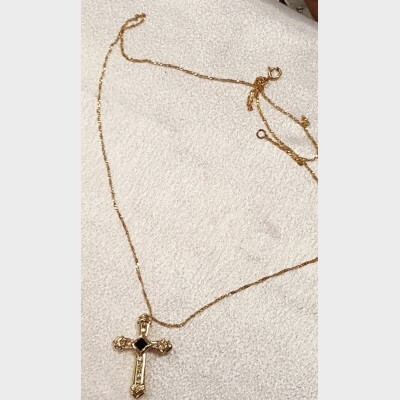 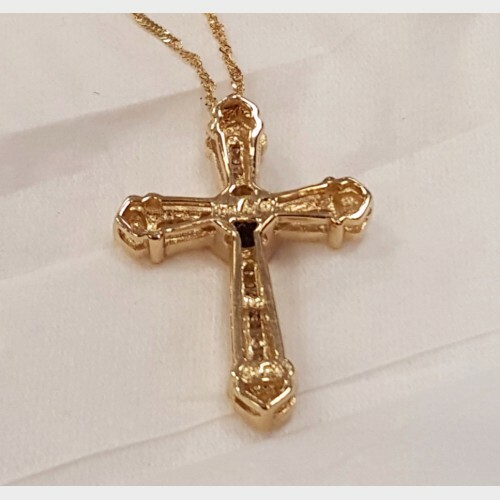 Both the cross and necklace are stamped 14K.